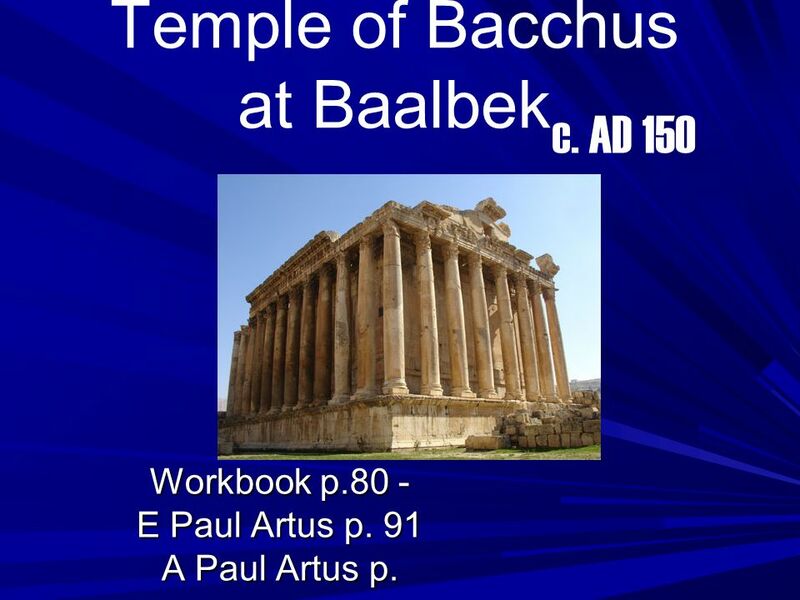 Temple of Bacchus at Baalbek Workbook p.80 - E Paul Artus p. 91 A Paul Artus p. c. AD 150. 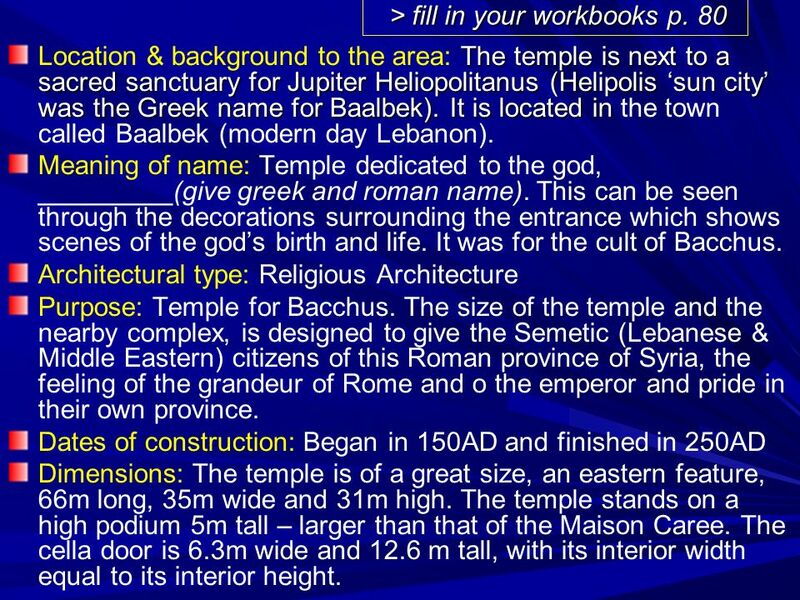 12 > fill in your workbooks p. 80 > fill in your workbooks p. 80 The temple is next to a sacred sanctuary for Jupiter Heliopolitanus (Helipolis sun city was the Greek name for Baalbek). 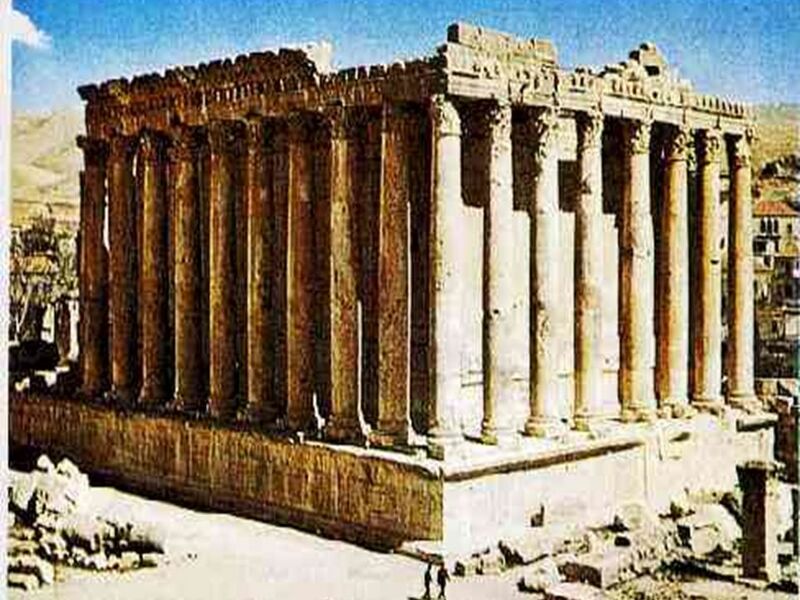 It is located in Location & background to the area: The temple is next to a sacred sanctuary for Jupiter Heliopolitanus (Helipolis sun city was the Greek name for Baalbek). 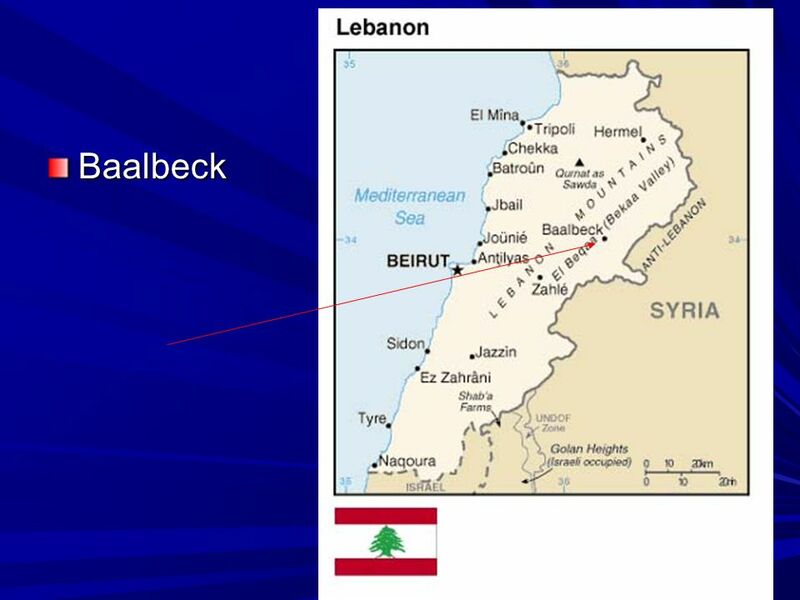 It is located in the town called Baalbek (modern day Lebanon). 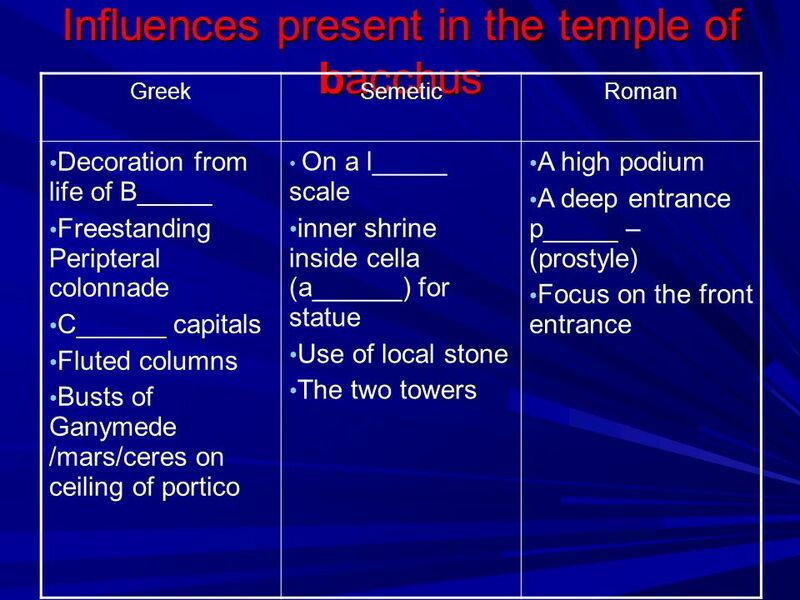 Meaning of name: Temple dedicated to the god, _________(give greek and roman name). 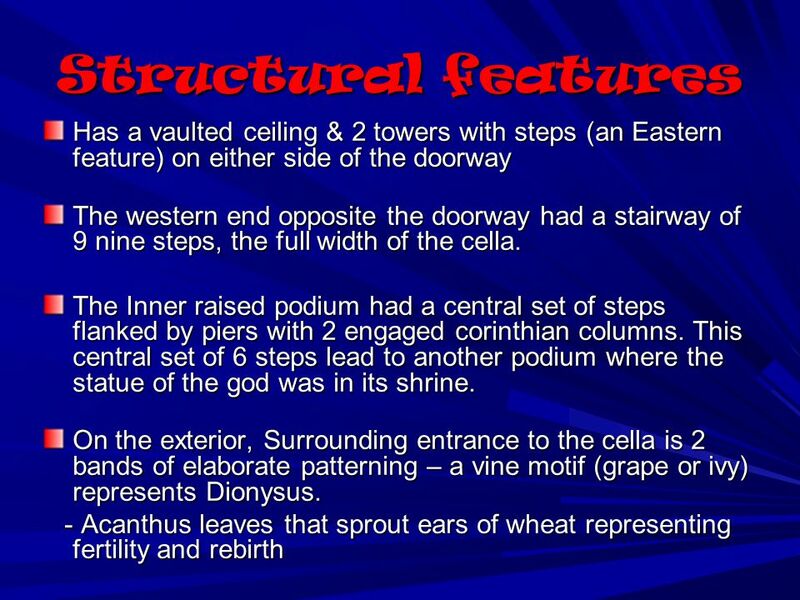 This can be seen through the decorations surrounding the entrance which shows scenes of the gods birth and life. It was for the cult of Bacchus. 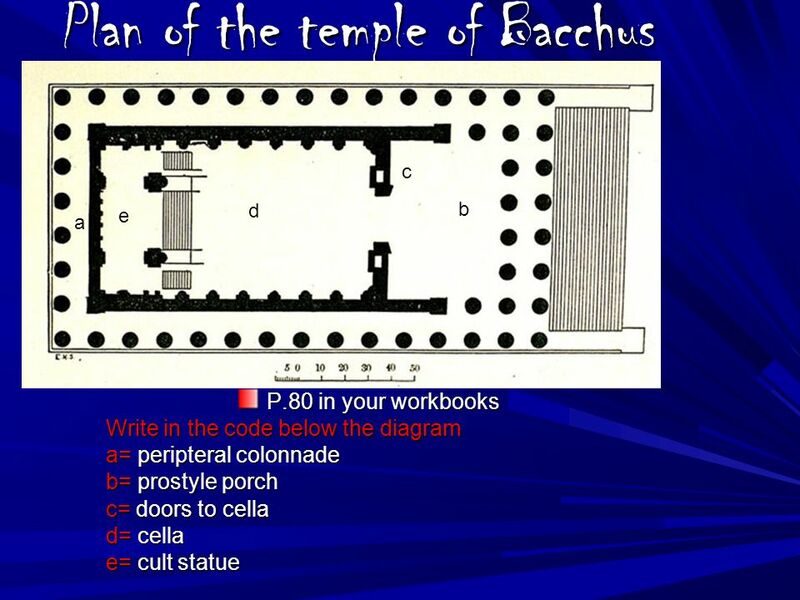 Architectural type: Religious Architecture Purpose: Temple for Bacchus. 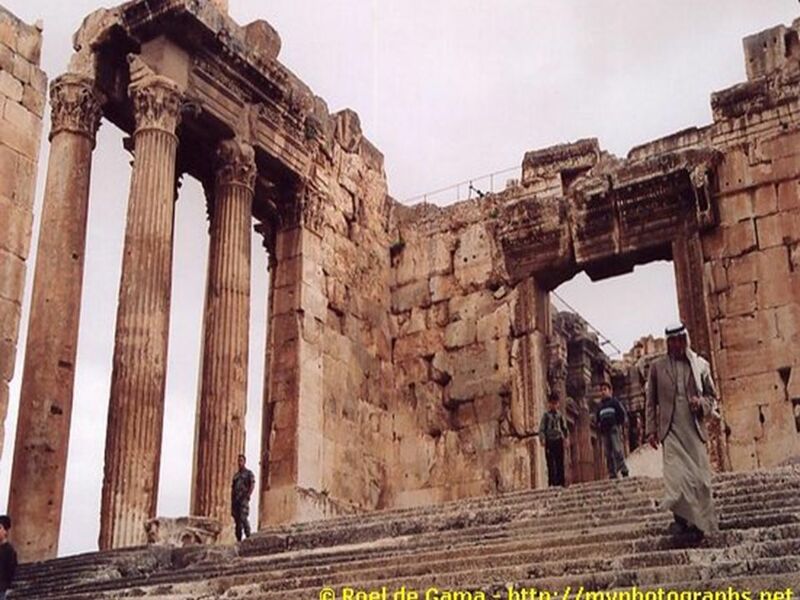 The size of the temple and the nearby complex, is designed to give the Semetic (Lebanese & Middle Eastern) citizens of this Roman province of Syria, the feeling of the grandeur of Rome and o the emperor and pride in their own province. 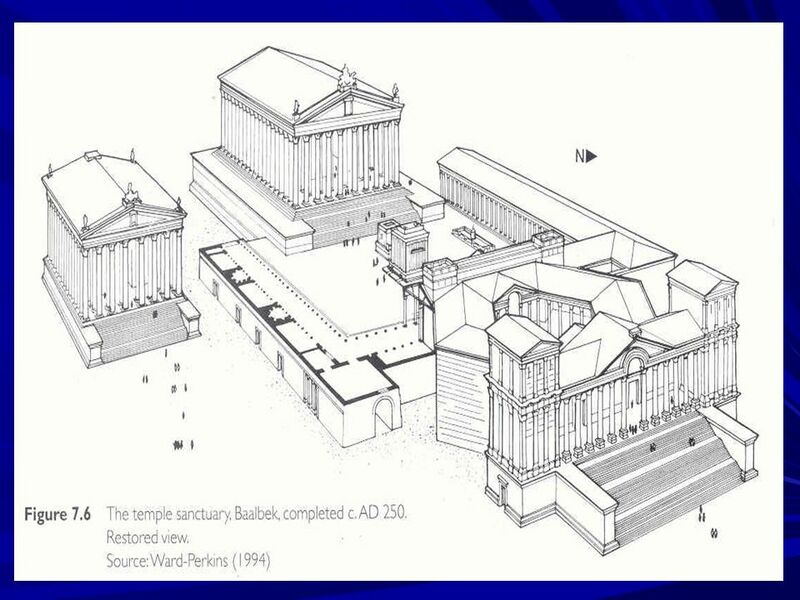 Dates of construction: Began in 150AD and finished in 250AD Dimensions: The temple is of a great size, an eastern feature, 66m long, 35m wide and 31m high. 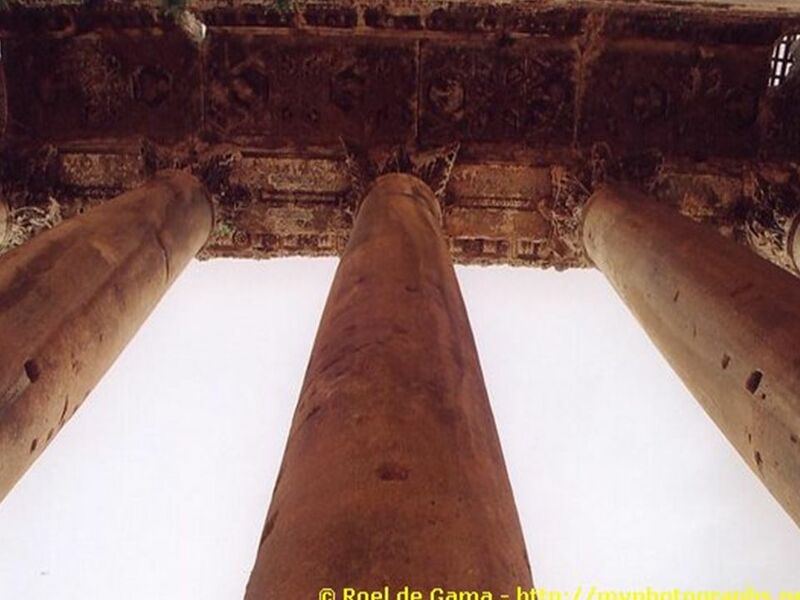 The temple stands on a high podium 5m tall – larger than that of the Maison Caree. The cella door is 6.3m wide and 12.6 m tall, with its interior width equal to its interior height. 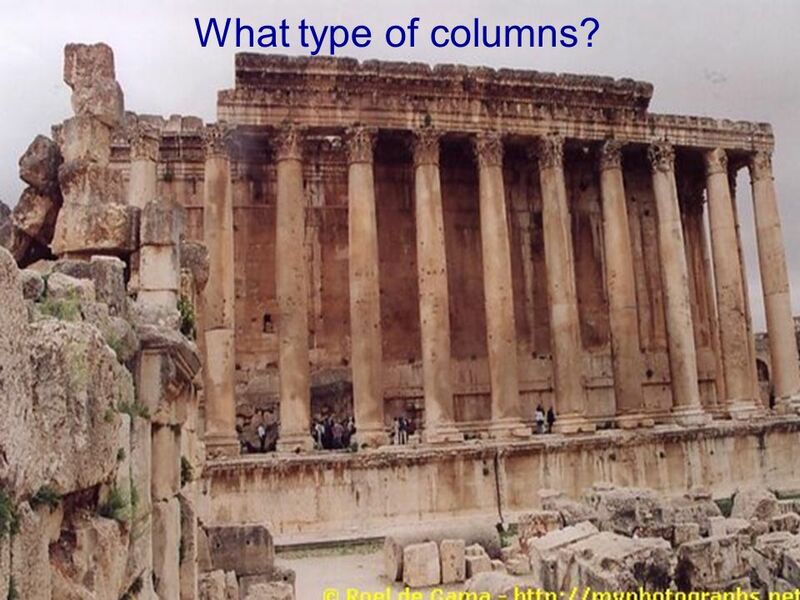 15 What type of columns? 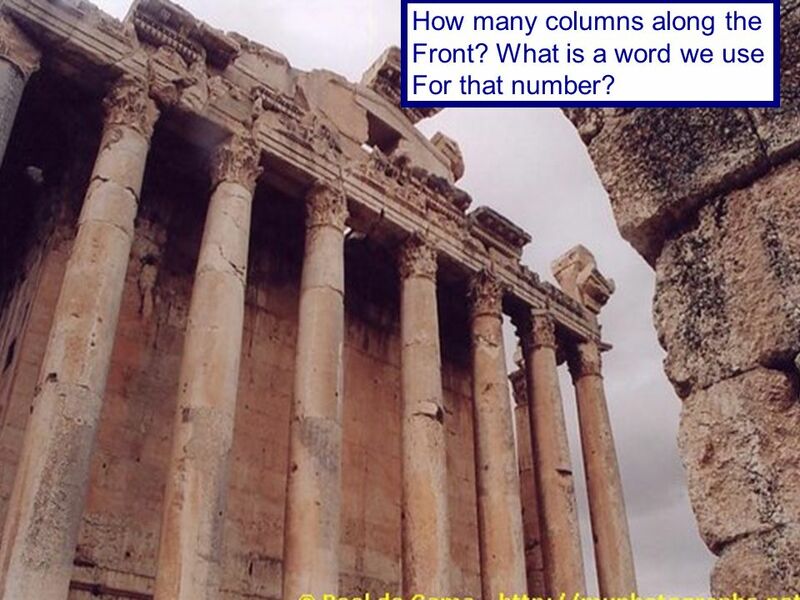 16 How many columns along the Front? What is a word we use For that number? 17 Side walls of the cella project out to form antae in the front and there is a deep prostyle porch where the porch columns are in front of the projecting ends of the cella. 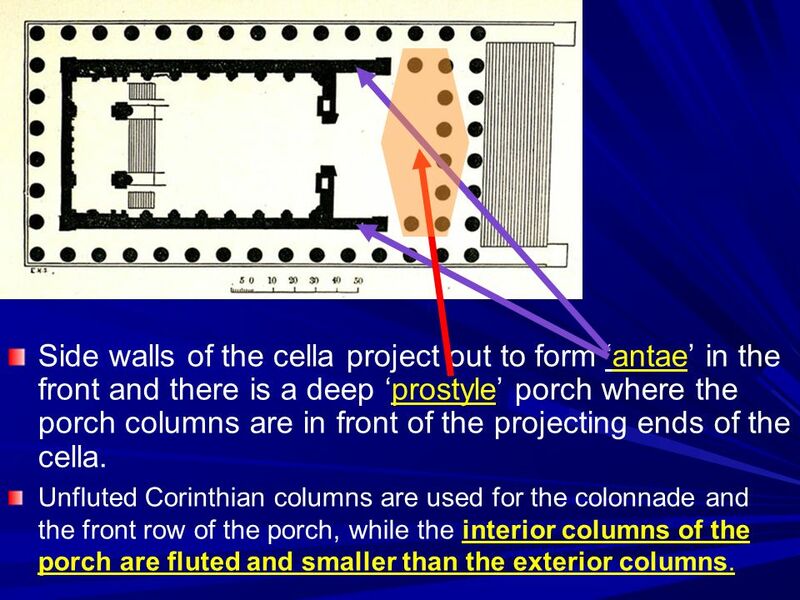 Unfluted Corinthian columns are used for the colonnade and the front row of the porch, while the interior columns of the porch are fluted and smaller than the exterior columns. 18 It has a colonnade on all 4 sides (peripteral). This is made up of 8 free-standing, columns (octastyle) at the front & back 15 on each long side. 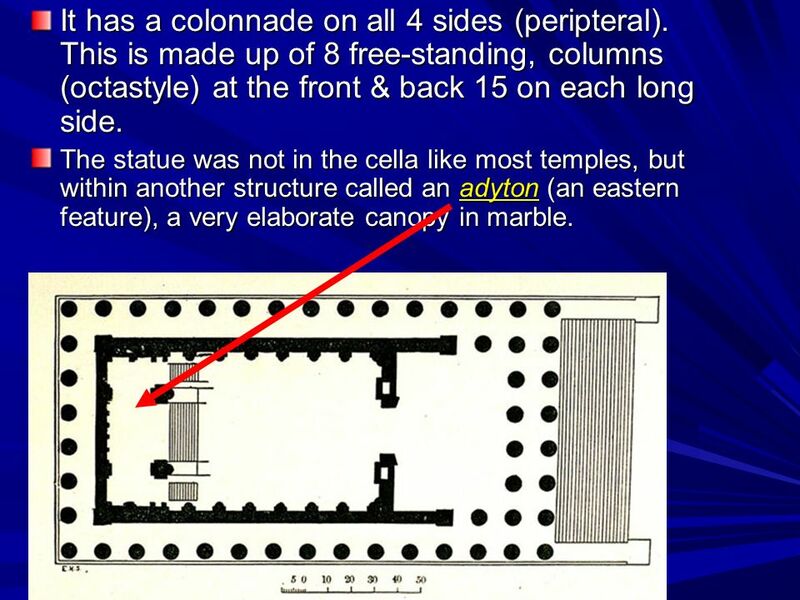 The statue was not in the cella like most temples, but within another structure called an adyton (an eastern feature), a very elaborate canopy in marble. 20 Decorative features The portico ceiling is elaborately carved with busts of Mars, Ceres, Vulcan, Ganymede and the doorway is surrounded by elaborate carving. 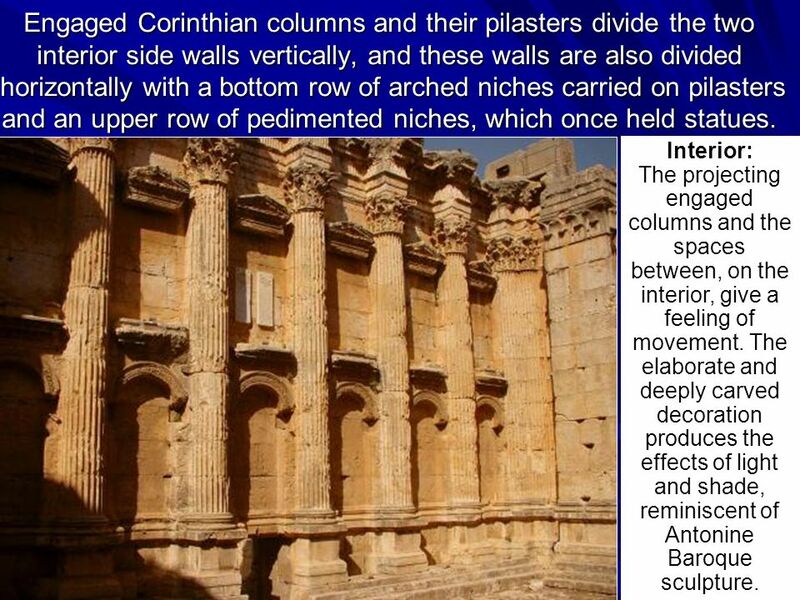 21 Engaged Corinthian columns and their pilasters divide the two interior side walls vertically, and these walls are also divided horizontally with a bottom row of arched niches carried on pilasters and an upper row of pedimented niches, which once held statues. Decorative features Interior: The projecting engaged columns and the spaces between, on the interior, give a feeling of movement. The elaborate and deeply carved decoration produces the effects of light and shade, reminiscent of Antonine Baroque sculpture. 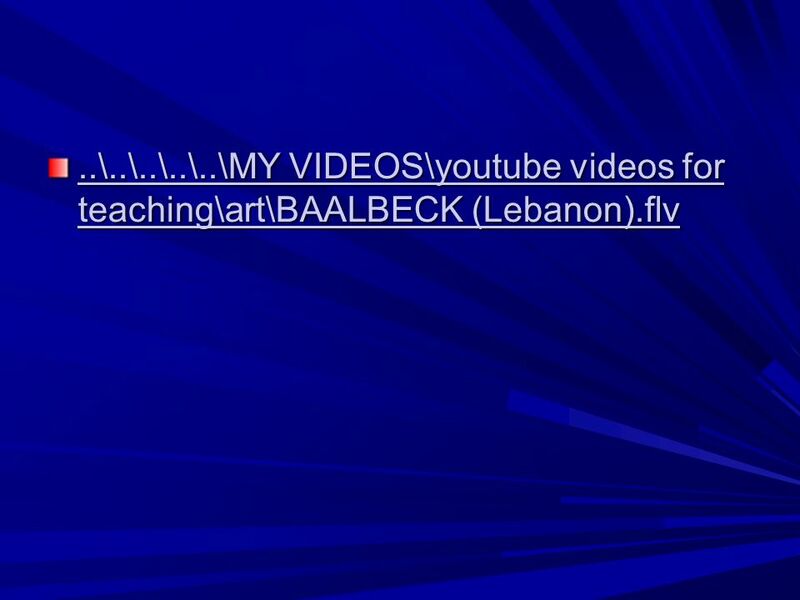 Download ppt "Temple of Bacchus at Baalbek Workbook p.80 - E Paul Artus p. 91 A Paul Artus p. c. AD 150." Pont du Gard Functional architecture. 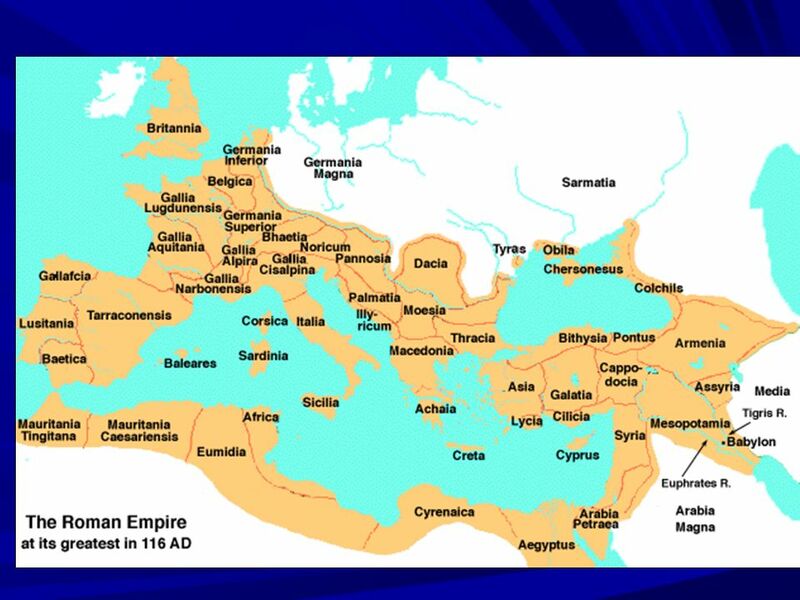 What was the impact of Ancient Greece on our culture today? How can the diversity among the various Greek city-states be described? 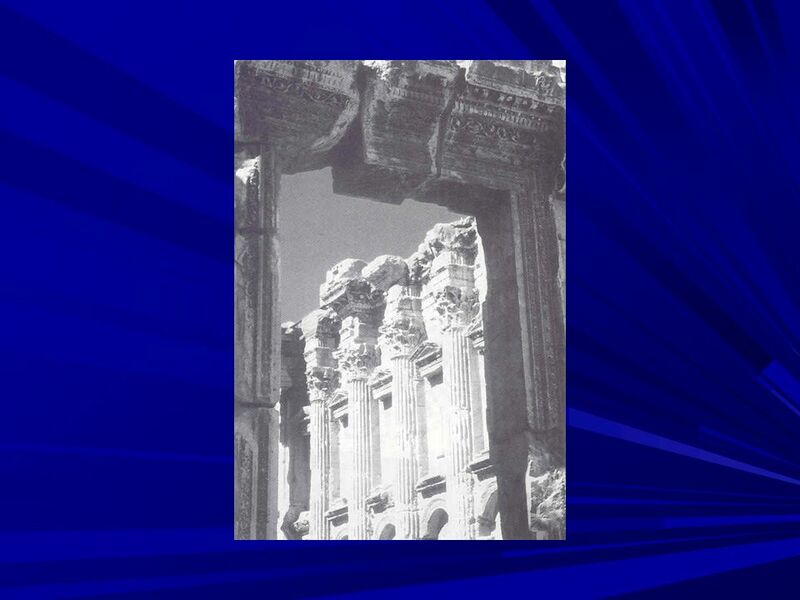 Architectural History (Prehistoric to the Rise of Civilizations) By, Mr. Yersak. THE PANTHEON 128 AD Rome, italy \. 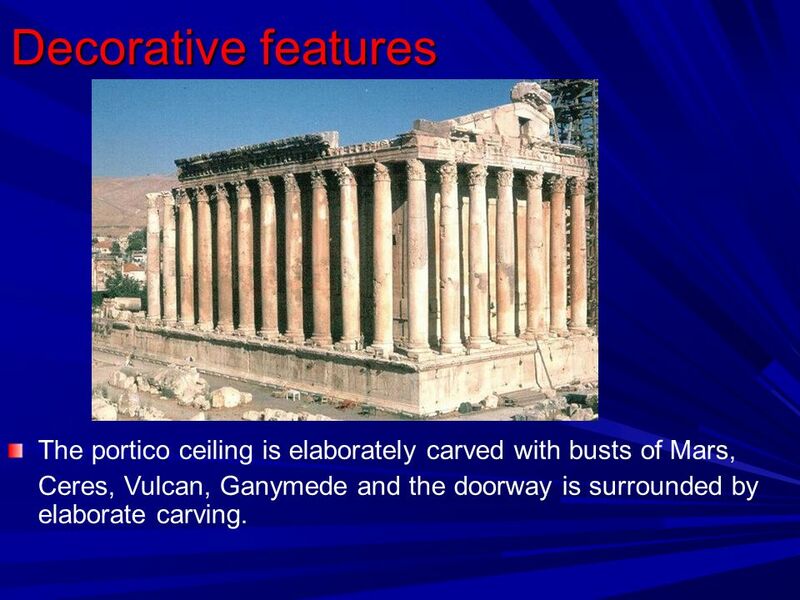 ANTIQUITY AGE: GREEK ARCHITECTUR E. ACROPOLIS A HIGH CITY 500 FEET ABOVE SEA LEVEL. CONSTRUCTED DURING THE GOLDEN AGE OF ATHENS. (1) By What name is this building popularly known, and what does it mean? 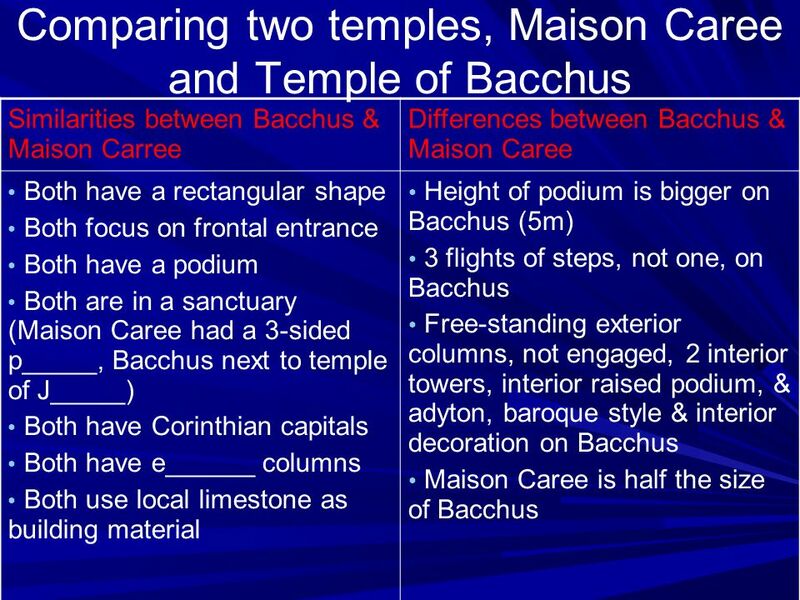 [ACH] Maison Carree, square/rectangular house. 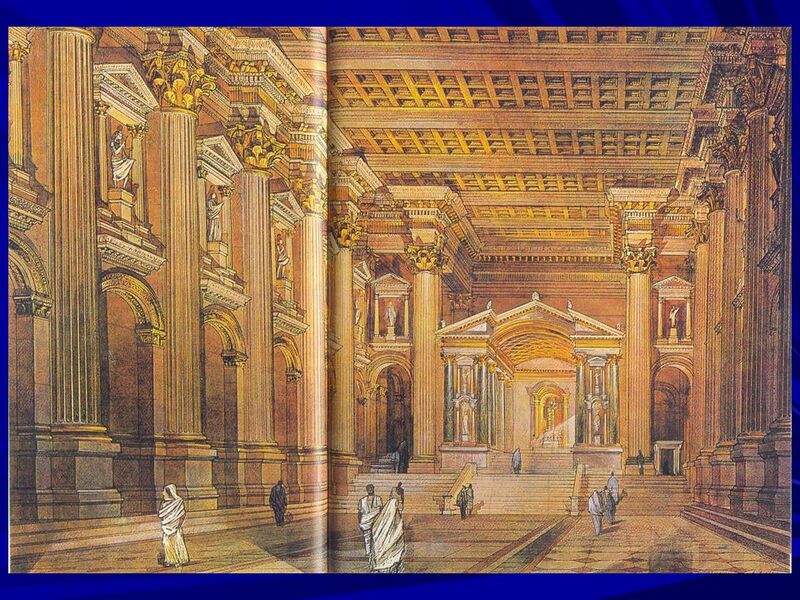 Chapter 7: Roman Art Lesson 9: Pantheon & Trajan. Architecture The art of sheltering people both physically and spiritually from the raw elements of the unaltered world Vertical Horizontal. Architectural Studies Tyler Wells, 2011 C-D. Caldarium A room with a hot plunge bath, used in a Roman bath complex. Heated by an under-floor heating system. Date: 18-16BC Means: ‘Square House’ in French Location: Nimes, South of France (one of the wealthiest cities of the Roman provence of Gaul ) Length: 31.8m. 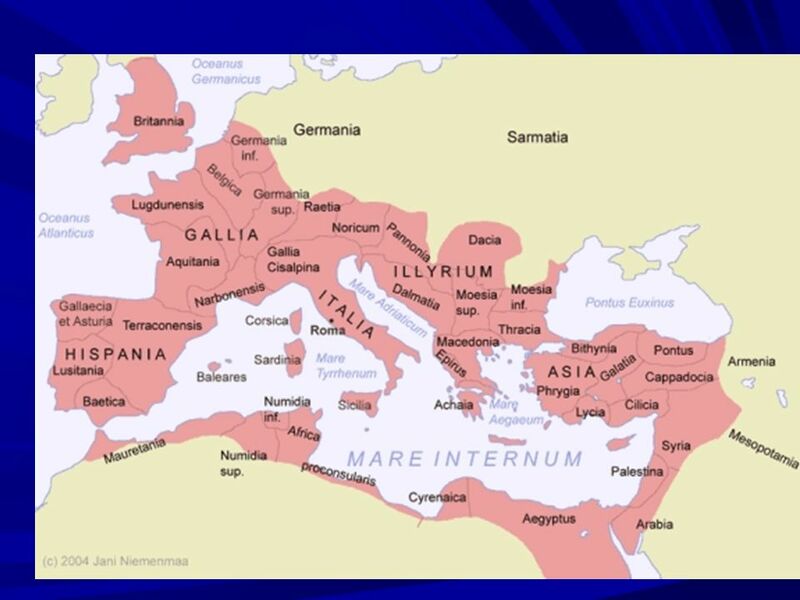 HSC Ancient History Core Study Religion in Pompeii and Herculaneum. 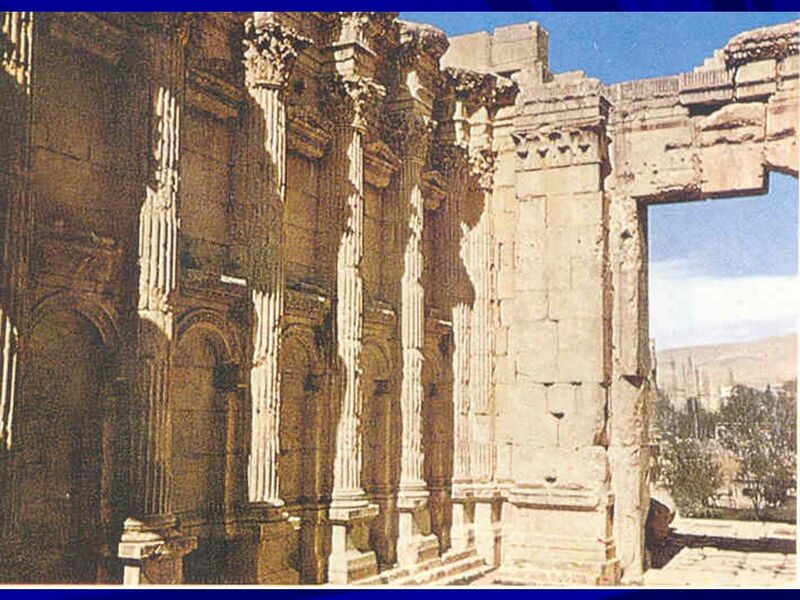 THE TEMPLE OF BACCHUS AT BAALBEK. 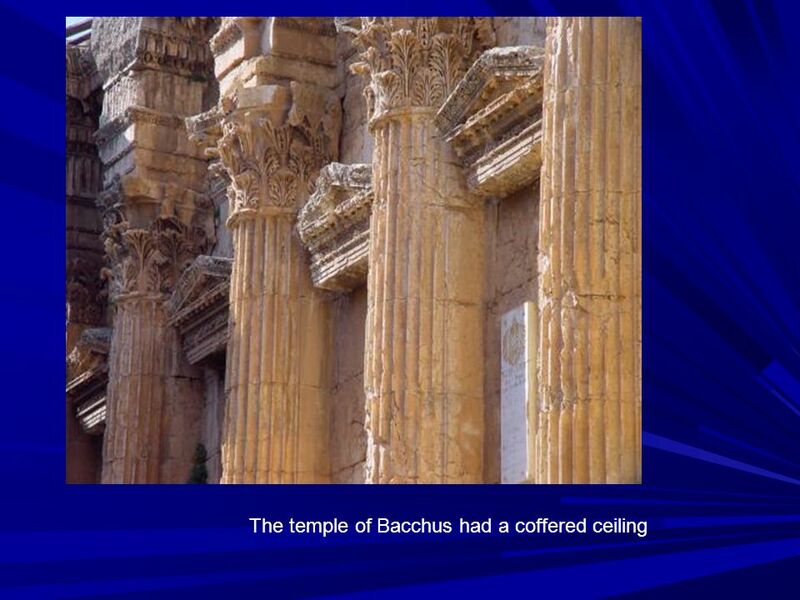 BASIC FACTS dates from about 150 AD. 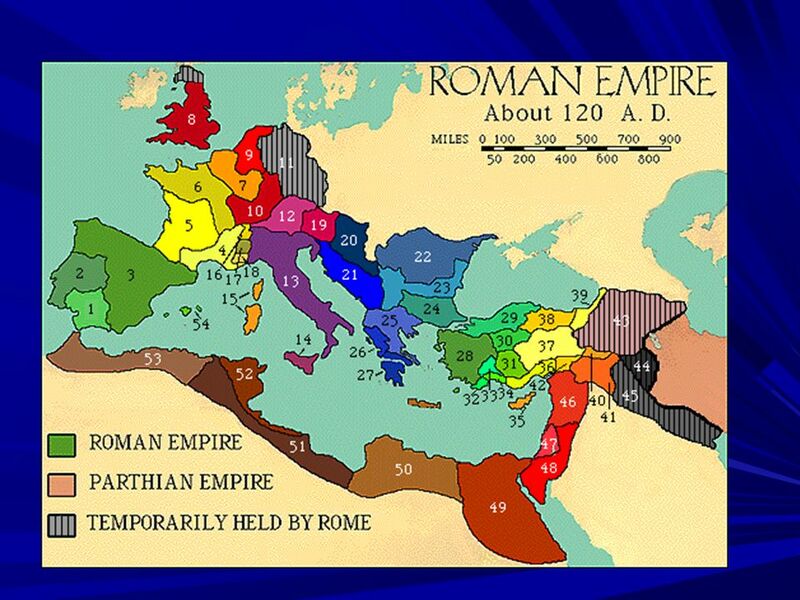 dates from about 150 AD. is built from local limestone. is built from local limestone.